TrueDeceased's deceased suppression services allow you to upload and process your file for free, export and download your deceased suppression records in just a few clicks, and receive 6 months of free updates, all for the flat rate of $50 per file. 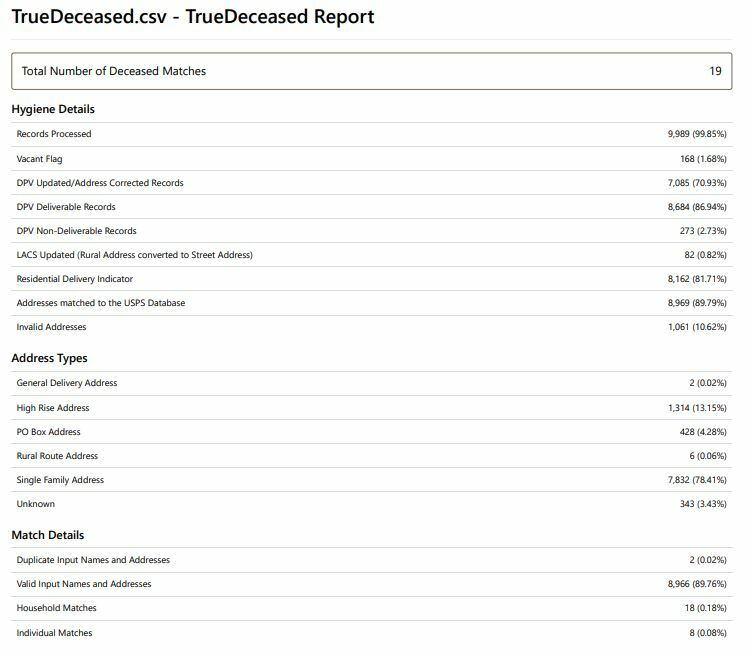 Unlike other deceased suppression services, TrueDeceased doesn't require you to purchase anything before you know the exact number of deceased suppression records identified on your file. 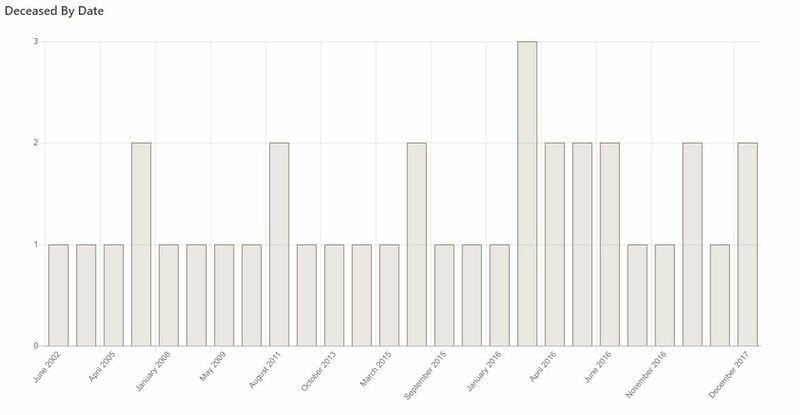 Simply upload and process your file free of charge with our web application, and you'll receive a complimentary TrueDeceased report.